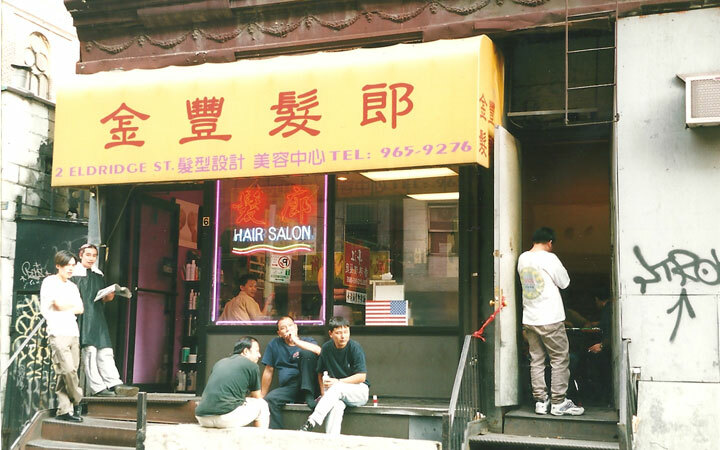 Phone lines in Chinatown went down after the World Trade Center towers collapsed. 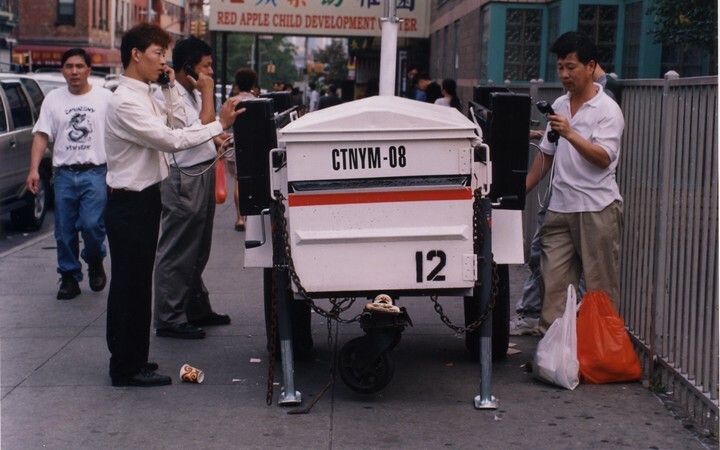 Verizon provided portable phone centers to help people stay connected. 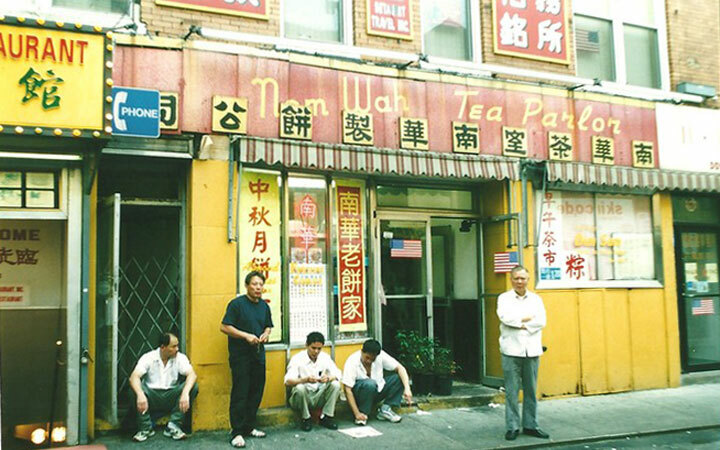 Photo by Lia Chang, courtesy of Lia Chang Archive, 2001. 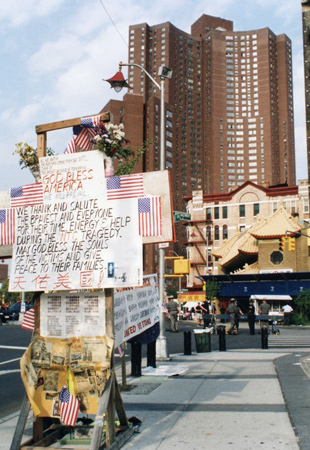 9-11 Memorial in Chatham Square. 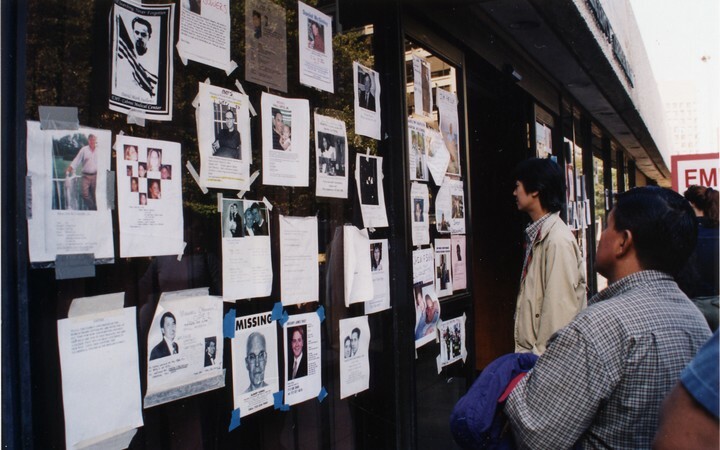 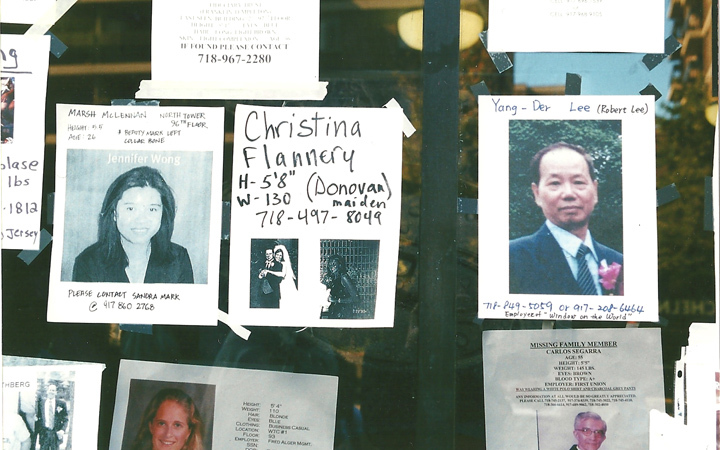 Missing Persons wall in Chinatown. 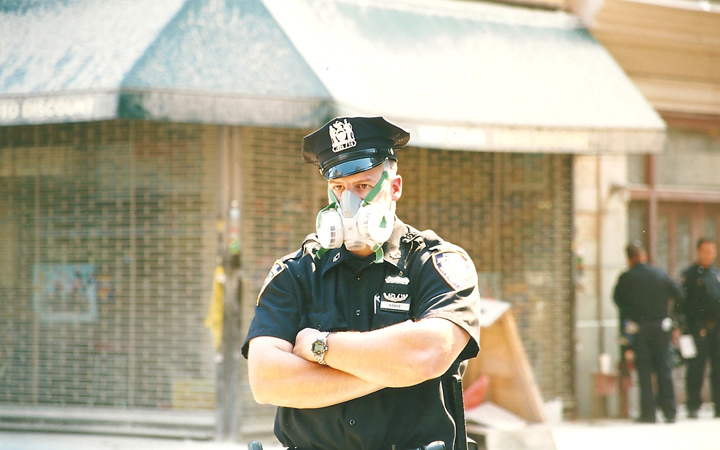 Dust and toxins in the air near Ground Zero necessitated the wearing of face masks. 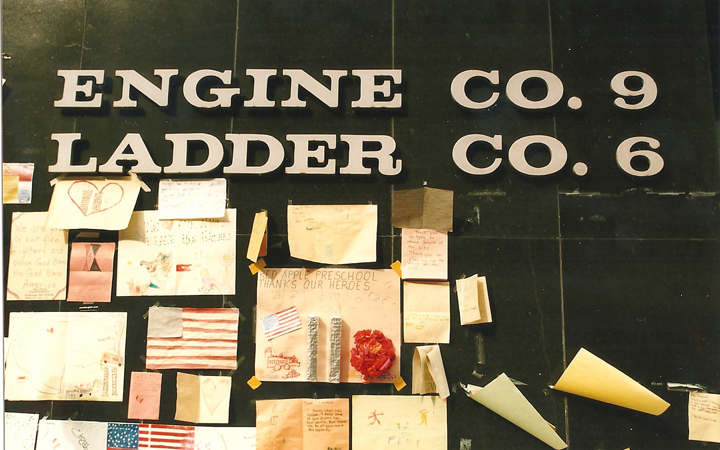 Memorial at the FDNY Firehouse in Chinatown. 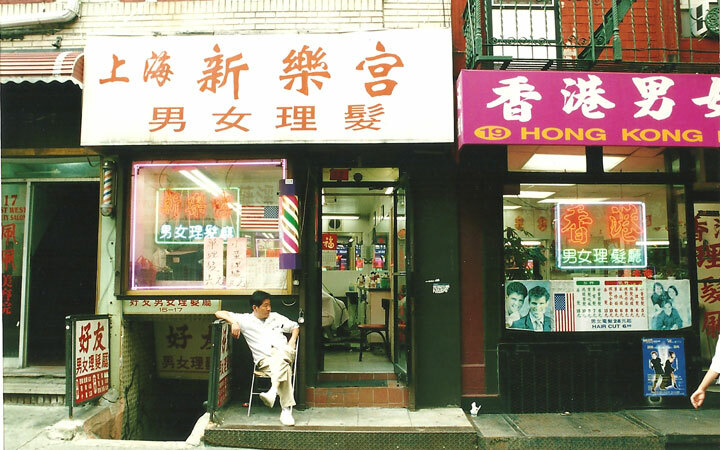 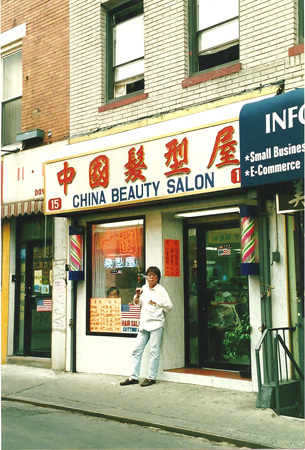 Business slows down in Chinatown after 9-11. 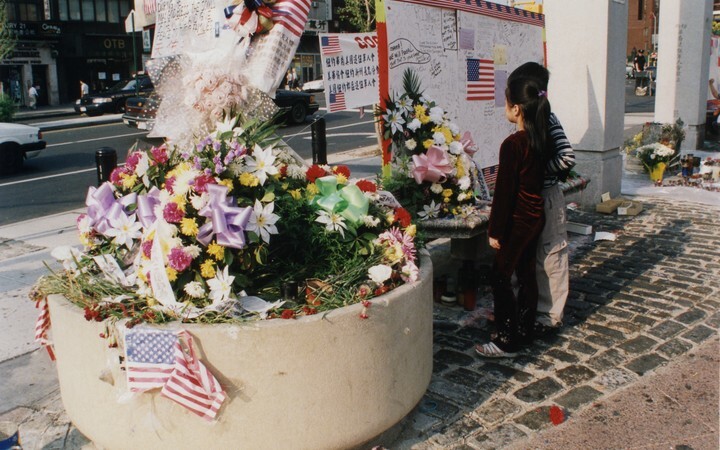 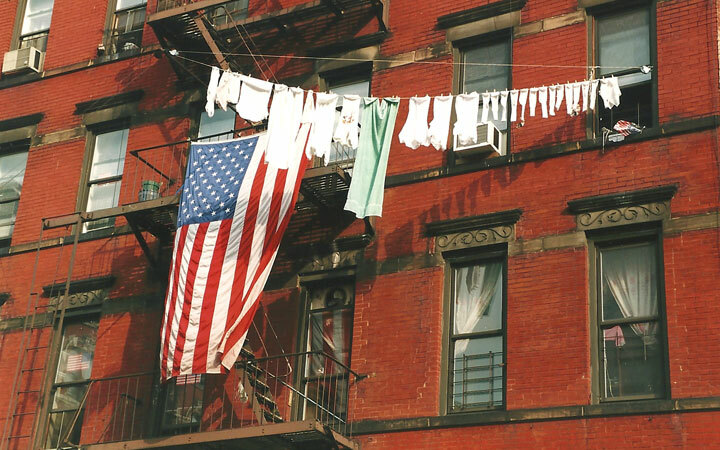 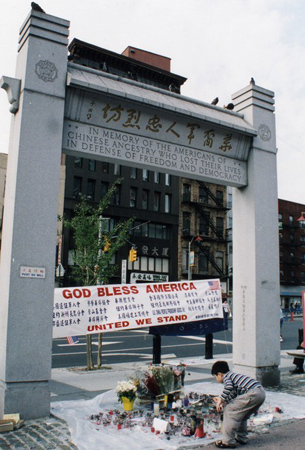 American flag outside Chinatown residence after 9-11.